June 2013 - Hairlicious Inc.
What is Caprylic Capric Triglycerides? Caprylic/Capric Triglyceride is derived from Coconut Oil. It has a very light, silky oil feel that is not at all greasy. It gives the hair a silky smooth feel. It restores softness and provides slip. It also slows down the loss of water from the hair, thus increasing hydration. "How do I protect my hair when swimming. I was told to put oil over my hair before getting in the water. Is this right? HELP!!!" Advice: Summer is upon us and what is a summer without swimming?! Chlorine is found in pool water as a way of disinfecting the water. It helps remove and breakdown bacteria, oil and dirt. This solution removes the natural oils that protect our hair and scalp thus stripping the hair of moisture. 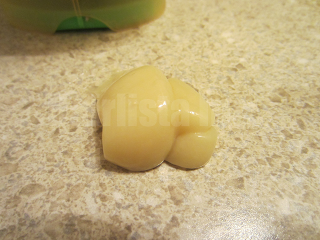 Over time this can cause severe over drying, increased porosity and breakage. It is extremely important to keep the hair healthy and protected against the harmful effects of chlorine. Are more susceptible to damage faster and more severely; therefore, you'd want to take extra care to prevent damage. 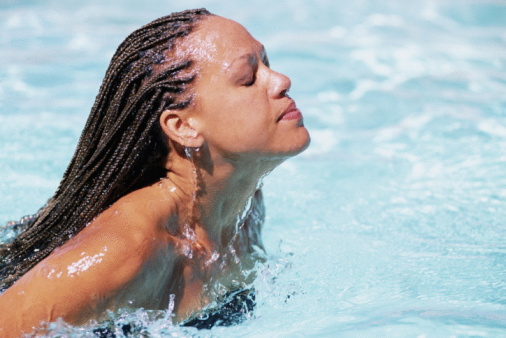 Soak your hair in Chlorine-Free water prior to going in the pool. Your hair is like a sponge, therefore, it will only absorb so much. If you saturate with clean water, your hair is less likely to absorb the chlorinated water. Apply Conditioner and Silicone products prior to entering the pool. Products with high levels of silicone will prevent the absorption of chlorine. You can seal your hair with an oil, prior to applying the silicone, for added protection. Rinse your hair thoroughly after exiting the pool. 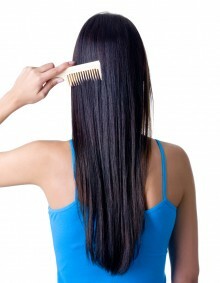 Flushing the hair with clean water will help remove the chlorine and chemicals from the hair. After swimming, shampoo your hair immediately! I suggest ION Purifying Solutions Swimmers Shampoo. This will help remove the build up from chlorine and minerals that have deposited on the hair. It will also help prevent damage. It will restore softness and manageability. It's also sulfate-free. Behentrimonium Methosulfate is a cationic surfactant found in conditioners. It is also considered to not only be effective but also safe and mild to use on the hair. It is synthetically created from modified rapeseed oil. It is insoluble in water but dispersible in both water and oil. It provides slip. It's excellent for detangling hair. It has the ability to moisturize and condition the hair from the inside out. It can penetrate the hair shaft making the hair healthier and thus easy to comb and maintain. In addition, it helps to soften the hair. Finger detangling is much easier to do. The hair is able to be rinsed out clean without residue. Promises: With a touch of 100% natural honey extract. This rich and creamy conditioner provides strength against damage and helps repair damage to smoothness for silky locks you will love. Directions: Massage in this oh-so-creamy conditioner. Rinse and feel the revival. Price: $5.99 23.7 fl oz. Promises: Formulated specifically for heat and chemically damaged hair, Motions CPR Protein Reconstructor rebuilds and fortifies hair from the inside out using collagen proteins. Silicones and conditioners provide added moisture to increase hair's suppleness and prevent breakage. 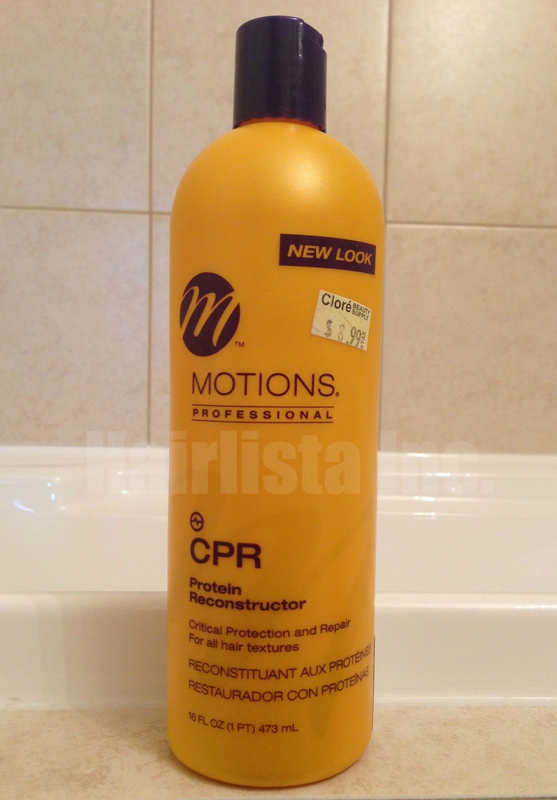 Directions: After shampooing with CPR Treatment Shampoo, apply ample amount of Protein Reconstructor to hair. Saturate from root to end. For maximum conditioning benefits, cover hair with a plastic cap and place client under warm dryer for 5-10minutes. Gently rinse hair with warm water, thoroughly removing treatment from the hair. Style as usual. Best used with other CPR products. Ingredients: Water, Caprylic/Capric Triglyceride, Glycerin, Polyquaternium-37, Cyclomethicone, Dimethicone Peg-8 Lanolate, Dimethicone Peg-7 Isostearate, Quaternium-80, Propylene Glycol, DMDM Hydantoin, Fragrance, Isostearoyl Hydrolyzed Collagen, Dimethicone, Benzyl Alcohol, Benzyl Salicylate, Phytantriol, Iodopropynyl Butylcarbamate, Hydroxyisohexyl 3-Cyclohexene Carboxaldehyde, Coumarin, Yellow 6, Yellow 5. Truth: The only reason why I decided to try this reconstructor was for the simple desire to see what's out there in comparison to Aphogee 2 Minute Reconstructor. Aphogee 2 min is my reconstructor of choice; however, I felt the need to explore and see if there were other products that were comparable. To my surprise, this reconstructor was extremely disappointing. I should have known that it wasn't a quality reconstructor since the protein was the 13th ingredient...way down the ingredient list!! FYI - The first 5-7 ingredients in a product are the most potent. This reconstructor has a lot of slip and because of that it's very easy to apply to the hair (wet/dry). The first week or two my hair felt balanced. 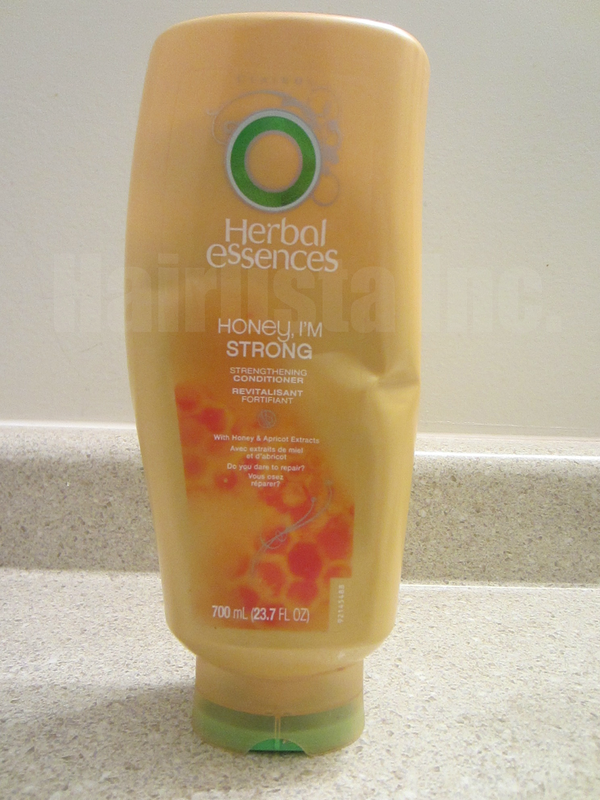 However, with increased use, I found it to be more on the moisturizing side as opposed to strengthening my hair. It's weird. It did nothing for my hair. My breakage was not minimized at ALL, instead, it seemed as though my breakage increased. Now, I feel as though my moisture/protein balance is off as I've been using this reconstructor for 1 month (testing phase). I will not be purchasing this product again. I will stick with my Aphogee 2 Minute Reconstructor for my weekly treatments. Protein is too far down on the ingredient list! Price: $8.99 CAD for 16 fl. oz.